Life Coaches: Could You Be One? How To Recognize Your Innate Ability To Improve Other People’s Lives. When winter drags on, we can all teel the seasonal blues. But a life coach —a person that’s equally intuitive, emphatic, positive, and strategic about another person’s life— can help pull people out of negative mindset and spread lasting cheer. Luckily, a lot of people have natural coaching capabilities, for example, anyone inherently positive and non-judgmental might have the ability to make people feel comfortable just by talking to them —even in the most high-stress situations. It’s a matter of recognizing your innate abilities— and deciding what to do with them. With abundant thinking, we remind ourselves that we really don’t deserve anything more or better. By creating the mindset that overabundance is nice, but at the same token understanding you already have what you need, you will eliminate the stress of trying to obtain the overabundance. When that stress is removed you have a better chance of actually obtaining the things you really don’t even need and will appreciate it so much more! There is plenty happening around us that we can’t see, but this constant flow of energy affects everything we do and feel. G-d is in charge of influencing our world. But He does give us free will. On the individual level, we have the ability to influence others—by sharing our positive, sincere energy with those who need it most. Kindness is a daily requirement. It is an unlimited obligation – which means it is a lifelong daily practice and is manifested in the act of giving. This manifestation expands across a wide area of our lives and relationships. It creates the desire to give charity, love, and respect, regardless of the other person’s situation. Want to live a better life? Make an effort to be compassionate. Do so not just by giving charity, but by giving of yourself, your love, and your labor. Talk about the benefits of breathing, meditation, and how mindfulness can help you see problems through a new lens. 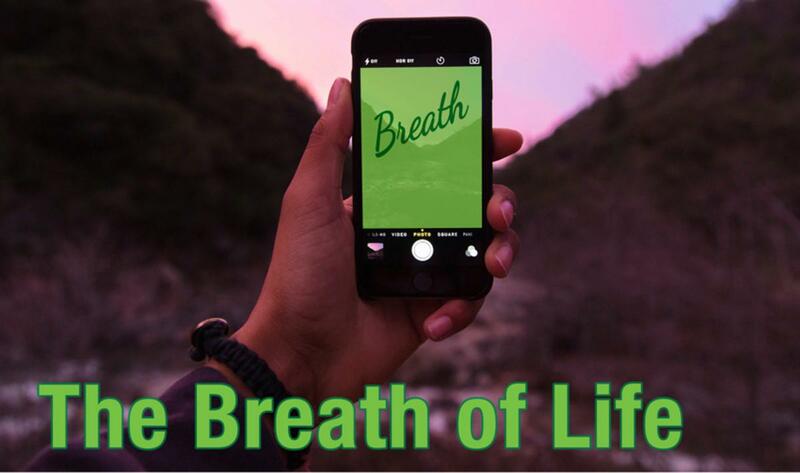 Not only are breathing exercises great for your mental health and overall happiness; they can improve your physical well-being as well. But what’s the ultimate goal of working these healthy habits into your daily routine? Why choose this route over, say, indulging in a few glasses of wine after a tough day or taking out your frustration on a punching bag? The answer: balance. 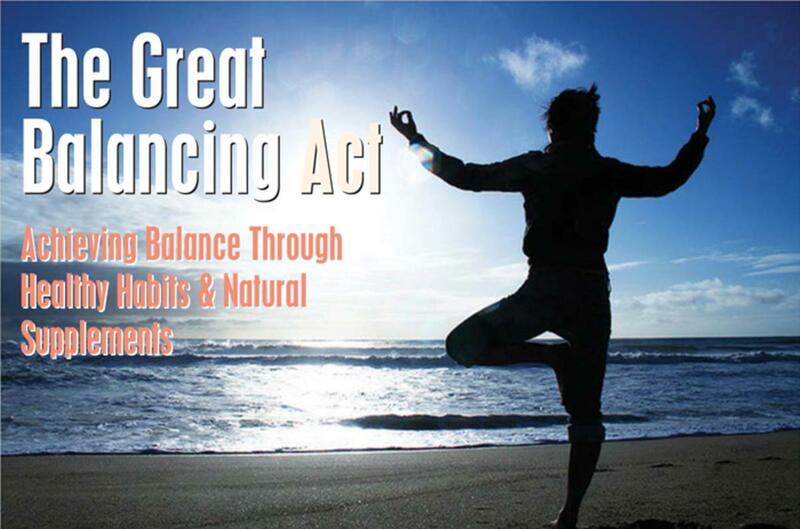 By creating balance in your body, you can improve natural functions, optimize healing, and focus your energy on positive thoughts and actions that lead to long-term wellness. Some stresses in life we can’t avoid. Sometimes, we will be stuck in traffic or be forced to deal with toxic people—but why add extra, unnecessary stress? 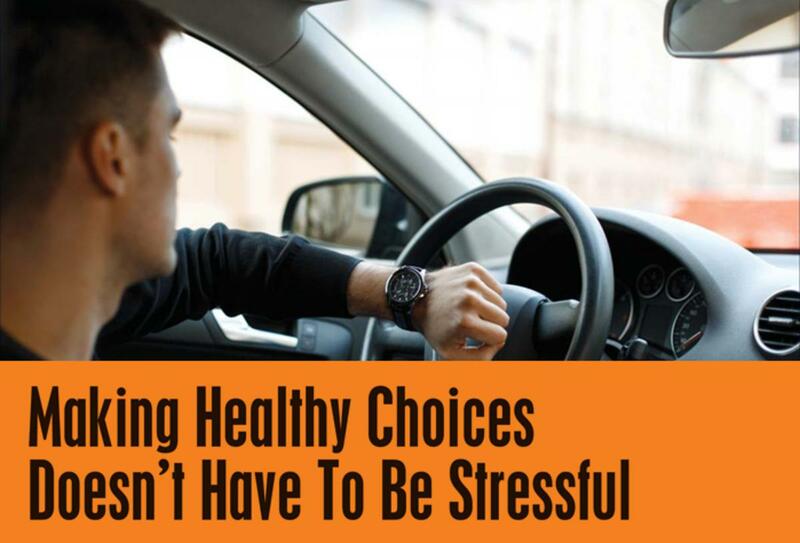 If we can steer clear of the extra stresses, we will be healthier and happier. It is my suggestion that people evaluate their own lives, pinpoint what causes their stress and initiate solutions in order to relieve anxiety which will lead to an overall happy and healthier life. 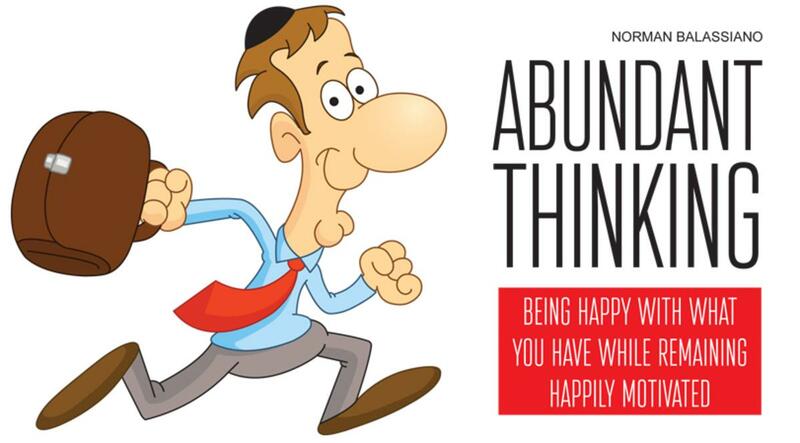 Here’s to staying happy, healthy, and stress-free!. 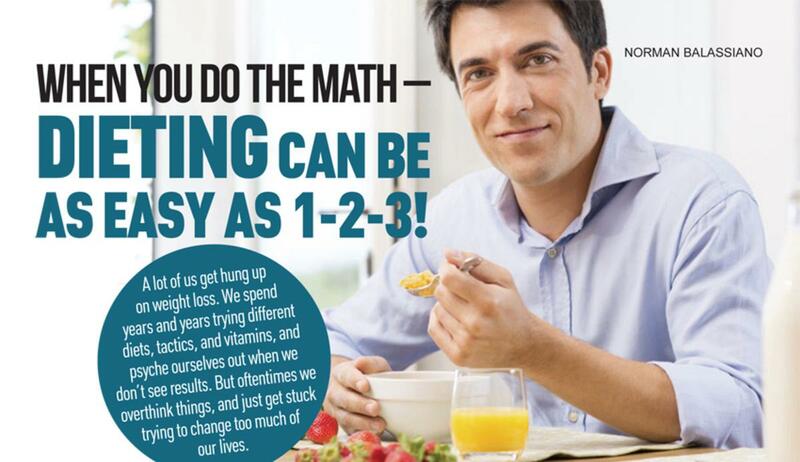 When You Do the Math - Dieting Can be as Easy as 1-2-3! A lot of us get hung up on weight loss. We spend years and years trying different diets, tactics, and vitamins and psyche ourselves out when we don’t see results. But oftentimes we overthink things and just get stuck trying to change too much of our lives. When it comes down to it, weight loss is a matter of adjusting your eating habits. That’s it! You don’t have to change your entire life in the process. When you think of it as a simple math equation, you can start to see the process in a more positive way. You can eat a salad for lunch and feel like you’re doing the right thing, but then you throw in processed chicken, turkey, or tuna and top it off with 700 calories of dressing, and that skews results. Sure, the salad was a good idea, and you may feel better because you think you’re eating well, but it won’t help you reach your desired health or weight any faster. The paradigm needs shifting. The problem is that many people want to make healthy decisions, but they aren’t equipped with the knowledge to do so. As consumers, we can try to educate ourselves, but there also needs to be someone to help us make decisions. What do you base your purchases on? Why do people get sick? A poor diet, lack of exercise, or underlying health problems are all likely causes. Stress can be devastating to your health, too. And what is one of the most prevalent sources of stress? I spent the past twelve years helping people with severe debt - more debt than most people can imagine. My clients would come to me when they had exhausted all their options. My goal was to solve their financial difficulties. But I quickly found that in order to do so, I needed to snap them out of a deep, self-destructive funk. If I did not, they would just get sicker, and would not be able to help themselves. 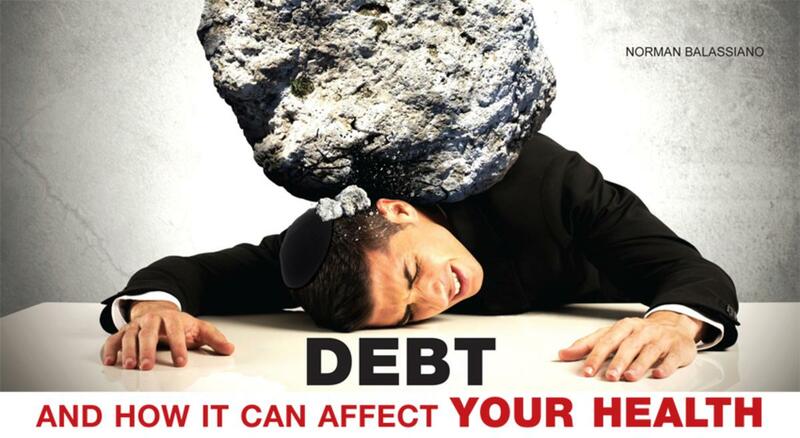 In my 12 years helping people get clear of debt, I met a lot of people with problems. Money problems, of course, but also pent-up worries that affected their health and happiness—trouble in their marriage, turbulence with their kids, and so forth. As I talked to them, looking for a way to solve their financial worries, I learned a skill that has been incredibly powerful in my mission to help people ever since. I learned to listen. Every morning, I thank Gd for giving me the ability to stand up straight. Standing is an essential part of Jewish prayer, as is our posture. During special prayers like the Amidah, or "standing prayer," we position ourselves as if we were standing before Gd, with straight backs and tucked chins. We don't keep our hands on our hips or cross our arms, but stand straight and humble. At the times where we are required to bow, we bow enough to separate the vertebrae from one another. While proper posture is an important part of our devotion, it is also extremely beneficial to our overall health and it allows us to better serve Gd , our family, and our community. With Passover coming up, it's likely we'll all face some tough health decisions—and powerful temptation during meals. How can we survive nine nights with our diets and lifestyles intact, when the long-standing tradition is to overindulge? As the first member of Angel of Health, (you can join too) I've found a way that sticks. Of course, everyone is different—but when armed with the right information, you can overcome temptation and make any family event both healthy and enjoyable. What if I told you that. I knew the secret to looking younger, feeling better, and living longer—and I'm willing to share that secret with you free of charge—you'd be interested, right? The secret I'm talking about is actually no secret at all. By purifying the senses—eating clean healthy food, exercising regularly, eliminating unnecessary stressors—the average person can improve their quality of life in remarkable ways. Want to Ensure Your Children Have a Better Chance of Living Healthy Lives? The number of obese children in the United States is growing at an alarming rate, with obesity now affecting one in every six children. I believe that, as parents, we are responsible for how our young children eat. If you fill your home with sugary snacks and drinks, your children are going to eat them up. But if your fridge is only stocked with good, clean foods, they'll eat those instead. As parents, we are capable of programming our family's taste buds; after all, we do the shopping. Imagine paying for high-priced snacks that are addictive in nature — and imagine paying for them using credit cards! Some may end up paying interest on the junk they bring home. Recently, I was blessed to lead a group of seven wonderful community members on a health retreat at the Hippocrates Health Institute in Palm Beach, Florida. We devoted two weeks to detoxing our minds and bodies and committed ourselves to a healthier, more mindful lifestyle. The group's ages ranged from old enough to be my grandfather, to young enough to be my sister, and each guest had something to contribute to our success. I may have served as a leader on the retreat, but the truth is I learned so much from each and every member who attended. 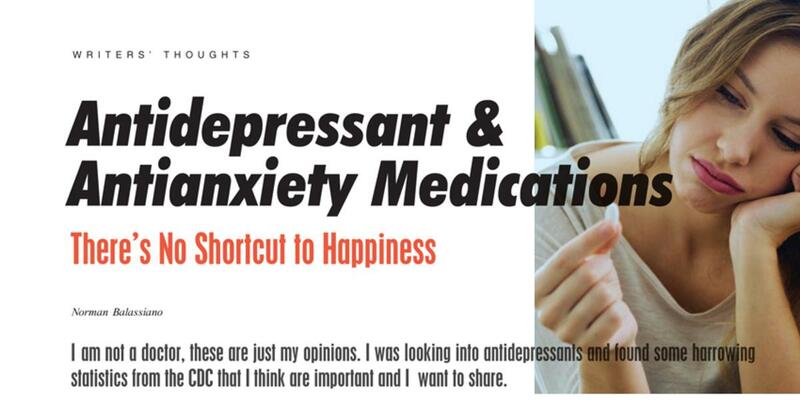 Psychiatric drugs should not be used as a band-aid or a shortcut towards happiness. It's my belief that most of us already have the power within ourselves to cope with the adversity that life brings. Isn't that sort of wonderful?. 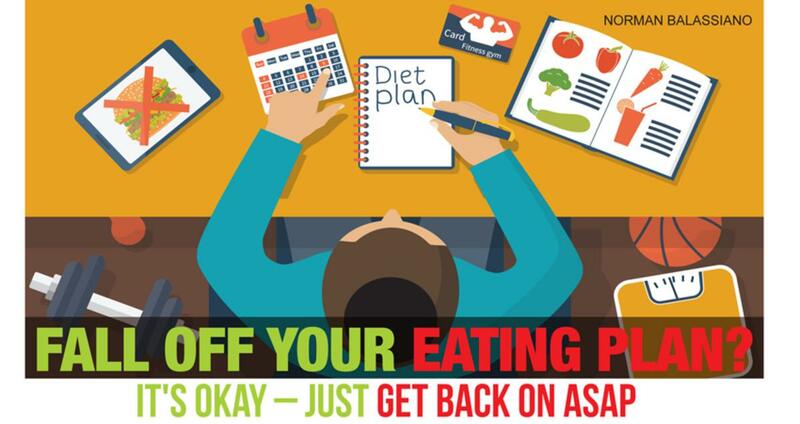 Fall off Your Eating Plan? In terms of health, I try to eat well most of the time. Eating green juices, macronutrients, and high-quality plant-based meals, and cutting out bad carbs, simple sugars, and restricting alcohol to a minimum – those are all things that I have worked on throughout the years and am still practicing. But the food around during the holidays is often full of fats and sugars; we celebrate with meat, wine, alcohol, simple carbs, and a whole lot of bread. So how do those of us on healthy eating plans take part in the festivities?